The celebrated design language of Knoll was originally championed by an incredibly talented team, together they define Knoll’s greatest work of the Mid-Century. A member of said team was Vincent Cafiero, a Senior Designer of Knoll’s Planning Unit, a collective that took on countless monumental projects such as the CBS interior in 1965. Cafiero took on projects from large office spaces, education facilities, and residences while also being responsible for the design of Knoll’s Showrooms of the time. 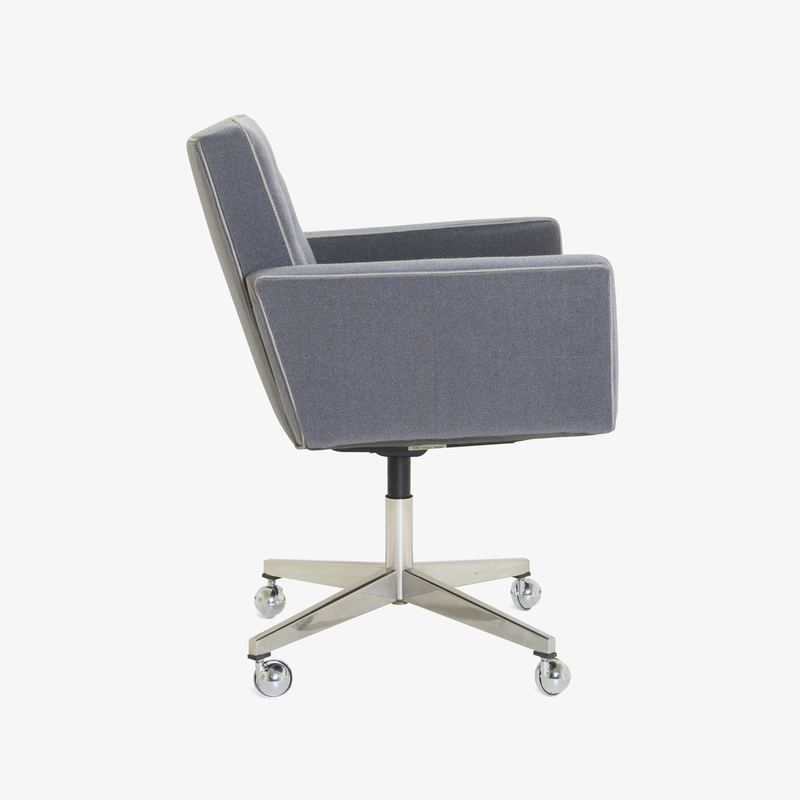 Cafiero too designed some iconic pieces for Knoll which all maintain his signature clean-lined rectangular form certainly evident with this Executive Task Chair. This low-backed version of his Executive Chair design is certainly most approachable with quite a generous and comfortable seat. The chair has been restored using the only material suitable for a project of this sort; vintage KnollTextiles fabric. A contrast welt was used to accentuate Cafiero’s definitive design lines and subtle points of interest. This is a rarer piece among the many Knoll greats, making it much more special, perfect for the most thorough collector of Mid-Century icons.